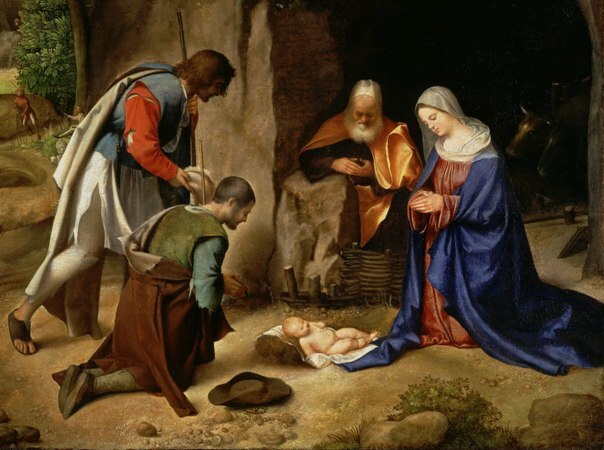 The staff of Newsminator.com wish all of our readers a very Merry Christmas. Las Vegas: Today, March 11, 2010 the 11th Annual Latin GRAMMY Awards function is going on at Las Vegas. Camila, Juan Luis Guerra and Alex Cuba are the winners in ther categories. Camila bagged both Record and Song of the Year for “Mientes”. The other Latin Grammys include best Female pop vocal album, “Mi Plan” by Nelly Furtado and best Male pop vocal album, “Paraiso Express” by Alejandro Sanz. The best Pop album by a duo or group with vocal was also won by Camila for “Dejarte de Amar”. Spanish rapper Mala Rodriguez beating out her all-male Puertorican colleagues, Daddy Yankee to win in the best urban song category with her defiant hip-hop song, “No pidas perdon”. So who is your favorite Latin music artist? Bradley D. Eisner from New York who was operating a foreign exchange ponzi scheme was sentenced for five years probation by U.S. District Judge Dora Irizarry in Brooklyn. Eisner who defrauded his customers of $66 million, came forward reported himself about the ponzi scheme run under Razor FX. According to Federal guidelines such a financial fraud called for a prison term up to 15 years and 8 months. According to Eisner’s lawyer, this is an extraordinary case where the court rewarded the defendant for showing the courage to stop a big financial scam and his willingness to admit being guilty. Eisner and his partner MacCaull allegedly used the Razor FX investors’ money for their personal expenses and fabricated account statements when they returned millions of dollars to earlier investors with funds from new investors. Investors should be aware of the various scams going on in foreign exchange market. Before of any get quick rich schemes including managed forex accounts and fraudulent brokers. While they are not entirely scams, do your research properly before you buy any software like Automated Pips or applications that offer easy way of doubling your investments. 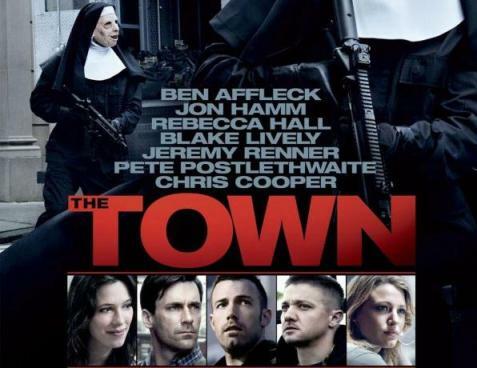 The Town directed by actor Ben Affleck hit the box office opening with $23.8 million to reach the top spot in the charts. The Warner Bros. drama about bank robbers starring Jeremy Renner, Rebecca Hall, Jon Hamm and Chris Cooper earned good reviews. This is the second movie directed by Ben Affleck. His first movie Gone Baby Gone was nominated for Academy Awards. Watch and enjoy the trailer of The Town online. 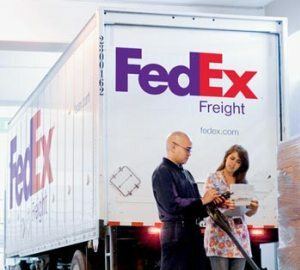 On Thursday FedEx announced that it would cut 1,700 jobs in its United States freight business despite earning $380 million in the first quarter. According to the company the move is to offset losses in US freight business unit. Earlier FedEx announced that their first-quarter net income doubled as a result of strong international shipping. FedEx profit mainly came from the international air shipments which has grown approximately 25 percent in the last quarter. However the US freight business unit has been unprofitable for four straight quarters and made a loss of $16 million. The 1,700 job cuts represent 5% of total freight business employees. FedEx says the move to cut 1,700 jobs, along with other cost reduction plans, will ensure the freight business to be profitable next year. The Commodity Futures Trading Commission (CFTC) scrapped a proposal to reduce the amount of borrowed funds that currency traders can use to trade forex contracts to 10-to-1. In retail forex market people can open an account with any of the forex brokers and invest on speculation of price movements of one currency agaist another. The use of leverage allows the traders to speculate on mutiple times the actual deposit to greatly increase profits, but this can also result in magnified losses. At present the existing allowed leverage is 100-to-1 for major currencies. That means you could invest $5000 in your forex account and trade a notional amount of $500,000. This was also a cause of many forex scams and the CFTC proposal was to reduce this to 10:1 leverage. However the CFTC proposal was opposed by most of the forex brokerage firms as well as traders. The reaction resulted in massive number of comments and feeback. As a result the CFTC scrapped the earlier proposal and decided to go ahead with a new rules where the firms can’t offer a ratio of more than 50-to-1 for major currencies or 20-to-1 leverage for the more exotic variety. The new rule seems to be a more balanced option to give traders enough opportunity to gain profits yet protect them from fraud. The new proposal should be a happy new for traders, brokers as well as those who are releasing new forex tools (see Forex Bulletproof ) especially because forex market is booming. Wall Street Journal reported that during April the foreign exchange market hit the average turnover of $4 Trillion on a single day. 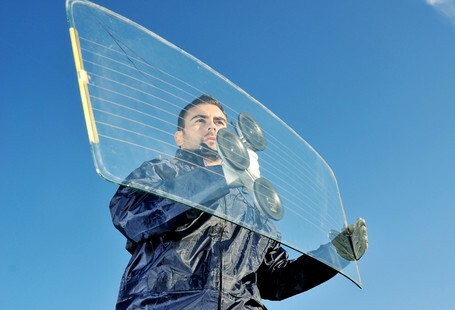 New York: – Gorilla glass an ultra strong glass that was invested in 1962 is gaining fast popularity. Gorilla glass which could not find a commercial use has finally picked up, as stylish HDTV models and touch-screen devices are spreading among consumers. And as a result the 1962 Gorilla glass on the brink to become a multibillion-dollar business for the 159-year-old glass pioneer Corning Inc.
Gorilla demonstrated early promise in the 1960s, but failed to find a business use, and hence was waiting for its time in a hilltop research lab for nearly a half-century. Gorilla Glass picked up its first client in the year 2008 and has swiftly become a $160 million a year business as a shielding layer over the screens of more than 35 million mobile phones and other mobile equipments. What makes the Gorilla Glass looks promising is the latest trend in HDTVs which is Frameless flat-screens. Since Gorilla glass is very tough to break or scratch, the company is expecting that it will be the glass of choice as HDTV-set producers when the TV manufacturers starts eliminating the plastic and metallic frames for a stylish chic-look. According to company scientists Gorilla glass is two to three times stronger than chemically strengthened versions of ordinary soda-lime glass, even when just half as thick. This means TV manufacturers can make flat screen panels with Gorilla glass thinner than a dime, saving on weight and shipping costs. Corning Inc which is based in New York, is the world’s largest manufacturer of glass for liquid-crystal-display computers and TVs. High-margin LCD glass generated the bulk of Corning’s $5.4 billion in 2009 sales. By ramping up production volume rapidly in a growing market, Corning is following a well-worn tactic intended to keep rivals from gaining ground. Corning is in talks with Asian HD TV manufacturers to get Gorilla to the Television market in 2011 and expects to reach its first deal soon. Angelina Jolie’s action thriller SALT is realesing today 23 July, 2010.
Who is Evelyn Salt? Is she really a Russian spy? 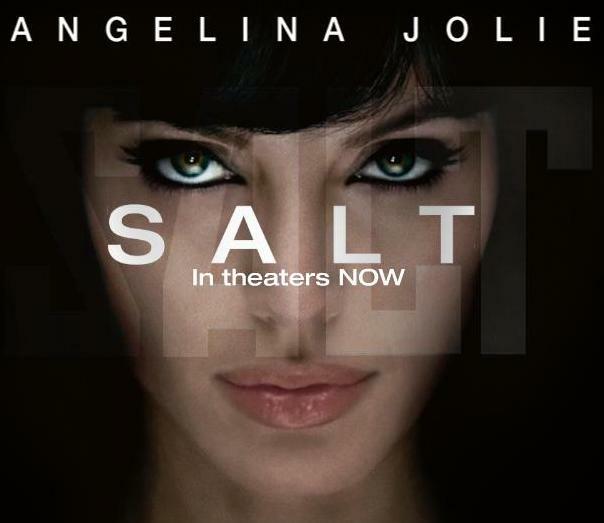 The movie Salt is brought to you by Columbia Pictures and expected to be a hit especially at the wake of recent crack down on Russian spies in United States. The United States government decided to extend the emergency jobless benefits for the long-term unemployed for another six months. On Thursday President Obama signed a six-month extension, restoring aid to almost 3 million citizens whose payment have been cut off since the emergency unemployment benefits program expired in early June. Barely three hours after the House approved the $34 billion measure President Obama approved the extension. “Small businesses are the engine of job growth, and measures to cut their taxes and make lending available should not be held hostage to partisan tactics like those that unconscionably held up unemployment insurance,” President Obama said. Hollywood actress Lindsay Lohan reported to jail. On Tuesday, July 20 Lindsay Lohan behagn serving the jail term for the second time in her 24 years. Her time behind the bars for probation violation that underlined the starlet’s inability to put a 2007 drug case may be reduced from 90 days to 14 days. Lindsay Lohan’s father Michael Lohan, and his attorney Lisa Bloom says that the move to reduce the jail term is due to overcrowding in Los Angeles prisons and not because the actress is getting any special celebrity treatment.